It is expected that mortgage rates in the market will undergo continuous change and despite this down real estate market, it comes as a blessing in disguise because of equally low mortgage rates. One place where individuals and families can go to in terms of getting good rates is at Mortgage Capital Associates. 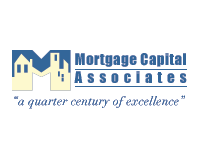 Mortgage Capital Associates is one of the leading companies in terms of mortgages in the nation today. They offer the lowest rates compared to others and they provide exceptional services especially for those who are first timers in getting a mortgage. They have an excellent financing process and loan programs that they personalize for every customer they have. Borrowers should understand that every mortgage loan is different from another and thus there will always be a need for personalizing especially when it comes to payment terms. Mortgage Capital Associates will give fitting amortizations depending on the borrower’s capacity to pay and background. The latest mortgage rates they have as of September 2012 are quite competitive compared to the national average rate which is 3.750%. For the 30 year fixed term with loan programs of $165,000 to $417,000, the rate is 3.375% with an annual percentage rate or APR of 3.376%. A rate and APR of 3.500% for the 20 year fixed term. While for the 15 year fixed term, the annual percentage rate is 2.832% and the rate is 2.750%. On the other hand, to those who will be choosing the 5/1 ARM the rate is 2.500% and APR is 3.083%. For the 7/1 ARM, the rate is 3.000% and annual percentage rate of 3.218%. And lastly is the FHA 30 year program with a rate of 3.375% and an APR or 3.426%. In conclusion, people who are planning on grabbing and applying for the best mortgage should do it with Mortgage Capital Associates. They will surely provide the best services and the rates in the market today. Today’s rates for home purchasing saw a rise of up to 4.29% for a 30-year fixed loan. Many lenders refuse to hold steady with their lesser rates, but Mortgage Capital Associates are listed among the few that continue to offer affordable and cheaper interests for buyers out there. The 30-year fixed loan is much less than today’s average of 4.29%. This means that once you sign up for a home loan under Mortgage Capital, you will be getting up to 0.29% in discount. Not bad a deal indeed. 1. Download all the application forms form their website and fill them up. 2. After signing, fax the forms to the number posted on their site. 3. Mail the original documents to their headquarters’ address as shown on their homepage. This company was originally founded in Los Angels in 1982. Because of its consistent offer on giving out low mortgage rates, along with company credibility, it now ranks among the top 200 lenders in the country. Mortgage Capital Associates caters to a wide audience all over America. It provides loans to any of these states: Arizona, California, Colorado, Connecticut, District Columbia, Delaware, Georgia, Hawaii, Illinois, Kentucky, Louisiana, Maine, Maryland, Massachusetts, Michigan, Minnesota, Nebraska, Nevada, New Hampshire, New Jersey, New Mexico, New York, North Carolina, Ohio, Oregon, Pennsylvania, Tennessee, Texas, Utah, Virginia, Washington, and Wisconsin. There are numerous factors to consider when purchasing a new home. Although the cost of the mortgage may seem like the most important thing, the reputation of the lending company should also be taken into account. With Mortgage Capital Associates, you get the best of both worlds.